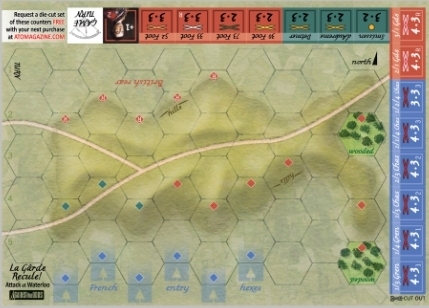 Choose one of our Pocket Battle Games plus get die-cut counters, with any purchase from ATO. Look for the offer and click the radio button as you finish the checkout process. Their world collapsed around them in September, 1939 but the brave Polish defenders at Danzig put up such a fight the Germans were forced to grant them alone "honors of war" to end the fighting. 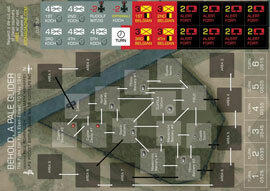 Truly, they were Some Poles Apart, the second Pocket Battle Game from ATO! F-4 Phantoms and MiGs clash over North Vietnam as Randy Cunningham and Willy Driscoll do battle with the famous (yet mysterious) NVA ace, Colonel Tomb. 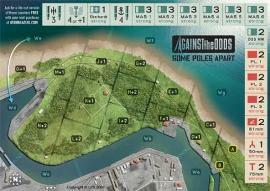 Yes, ATO brings you a complete air battle on a postcard with Showtime Hanoi, the third Pocket Battle Game in the series. Collect them all! 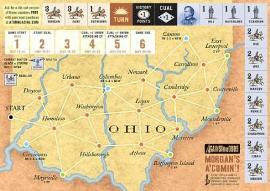 Rebel raider John H. Morgan defies orders, crossing the Ohio River in the summer of 1863 to bring war to the Yankees! All across the Midwest his incursion results in numerous alarms, property damage, and Union fears that he will link up with Robert E. Lee. 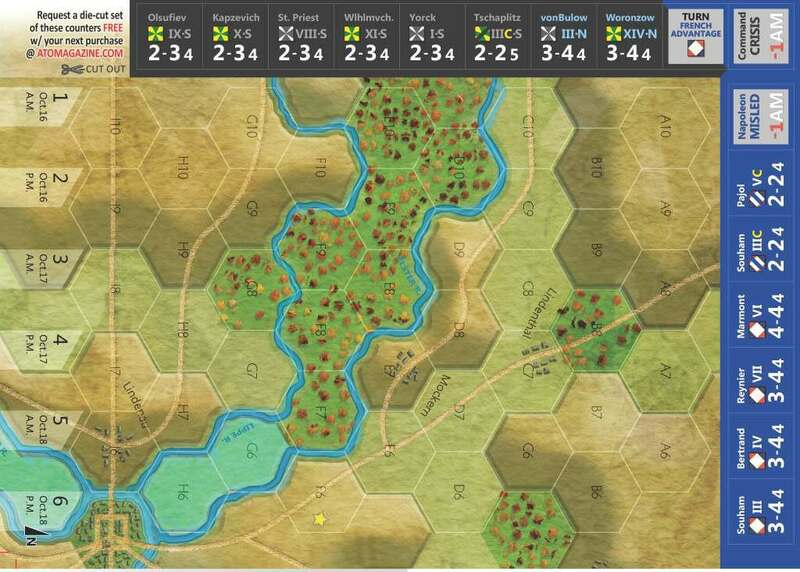 While the raid succeeds in diverting a small Union army away from Bragg, the fierce pace and determined Union resistance wears the invaders away to little more than a small band, all being captured in the end. Could Morgan have tipped the balance on not one, but two fronts? Find out with "Morgan's a' Comin'!" Iceni Queen Boudica takes ancient London by storm as her warriors decend upon the frightened inhabitants. 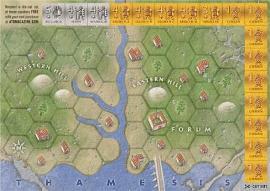 A single Roman legion must fend off the barbarian horde and hold open the escape route over the Thames River. Dec. 16th 1944 - A seemingly quiet front, where both sides appear content to rest and refit their tired troops, US forces are badly bloodied as Kampfgruppe Peiper erupts out of the Ardennes! Yet the day will see Col. Peiper frustrated more by his own friendly forces in front of his spearheads, than enemy resistance. With time running out to win at Waterloo, Napoleon unleashes his Imperial Guard to smash through the last defenders of the Allied ridgeline. A man who once launched entire armies at his foes now gambles his empire upon a mere five battalions - but what battalions! History knows few finer forces... Will they succeed, or be hurled back, raising the incredulous cry across the French Army, "La Garde recule!" It was a war so grand in cause, so vast in theater, and so bitter was the shadow cast on the hearts of its participants that we argue over it to this day. A great deal was settled, and a greater deal was left unsettled. 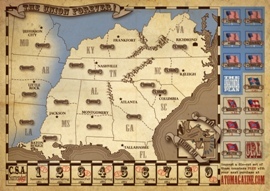 Yes, Against the Odds brings you the entire American Civil War…on a postcard! Get yours today. Some may say that the investment Nazi Germany made in surface ships was a gross misplacement of resources. But things like the hunt for the Bismarck certainly made for interesting stories, didn't they? One of the most interesting happened on February 11, 1942, when, complying with an order from Hitler that the navy did not much care for, Vice Admiral Otto Ciliax led some of Germany's most powerful naval units on a daring run…right up the English Channel. It sounds like madness, and in fact, was so unexpected, that they got away with it! The Germans called it Operation Cerberus. The British always referred to it as "The Channel Dash." In 1813 Coalition forces under the indomitable FM Blücher ("Marshal Forwards") drive into Napoleon's rear to seize control of the vital supply routes feeding into the city of Leipzig, and as a consequence, seriously disrupt the French main attack to the south. 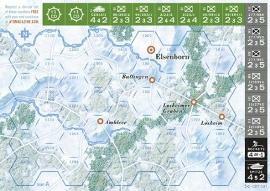 "A Matter of Honor, Sire"
The battle to the northeast of Leipzig was one of missed opportunities for the Coalition. The King of Sweden's (Bernadotte) subordinates were forced to challenge his honor just to get him to take part, and he still arrived late and in the wrong place. Can you do better? Napoleon's plan for victory at Leipzig requires a bold thrust south - straight at Europe's assembled might! 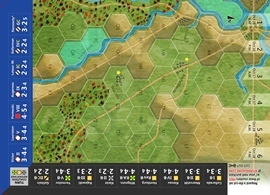 This battlefield saw units from a host of Allied nations battling with the French Grand Army for control of the crucial crossroads, bridges, and supply depots at Leipzig. The southwest portion of the Leipzig battlefield saw Coalition units thrusting north to seize the only practical line of retreat west still open to the French. 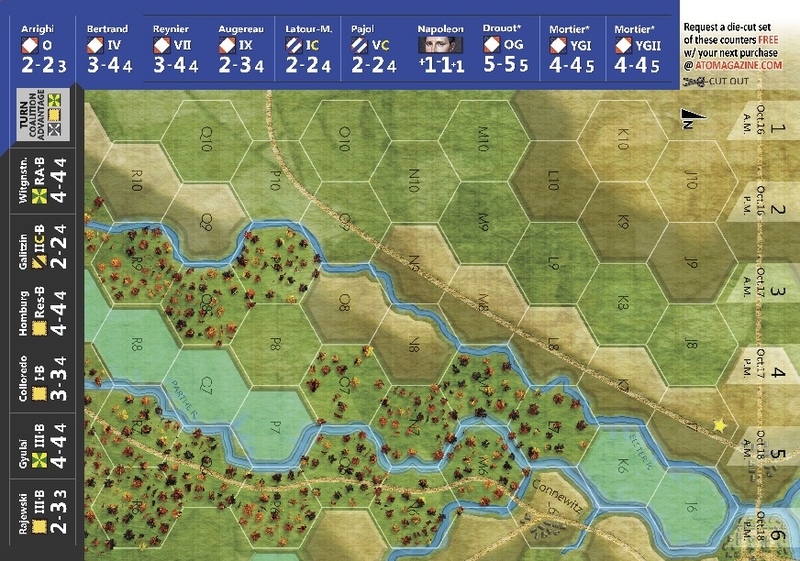 Success meant trapping the French for a truly "Napoleonic" style victory in reverse. In a final decisive move, the warlord of Gaul, Vercingetorix, occupies the hilltop of Alesia and accepts a Roman siege. Before being encircled, he send out messengers summoning every Gaul in the country to his rescue. Caesar in turn digs in twice around the town, facing both inwards and outwards, supremely prepared to fight on two fronts! 10 May 1940: a handful of German troops using gliders (painted light blue underneath to match the sky) land atop Eben Emael, Belgium's strongest fort. The complex was a linchpin in Allied hopes of disrupting any German offensive. Losing it in just a few hours was baffling (and terrifying). 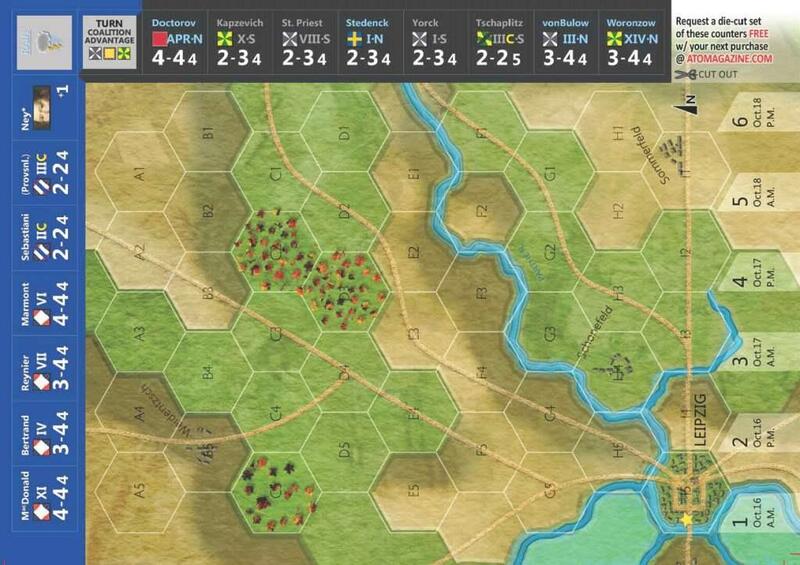 This two-player game simulates this key event in the fall of France. Refight the Battle of Camerone, a ten hour fight in the heat and dust near Vera Cruz on April 30th 1863 between the French Foreign Legion and the Mexican army. Regarded as a defining moment in the Foreign Legion's history, after the battle and learning just how few French troops there were, the Mexican commander exclaimed, "These Are Not Men, They Are Devils!" 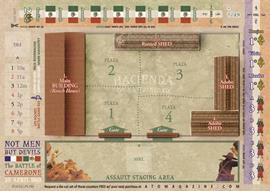 Download the rules in English to Stand at Mortain (in PDF format). Download der deutschen Regeln zu "Stand at Mortain" (Die Verteidigung von Mortain) (PDF-Format). Telechargez les regles francaises de "Stand at Mortain" (La defense de Mortain) (en format PDF). Download de Nederlandse regels voor "Standhouden bij Mortain" (in PDF formaat). Cliccare qui per scaricare le regole in Italiano di "Stand at Mortain" (.pdf). Pobierz zasady gry "Stand at Mortain" w jez. polskim (format PDF). 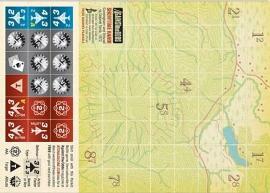 Descargar las reglas en espanol de "Stand at Mortain" (en formato PDF).